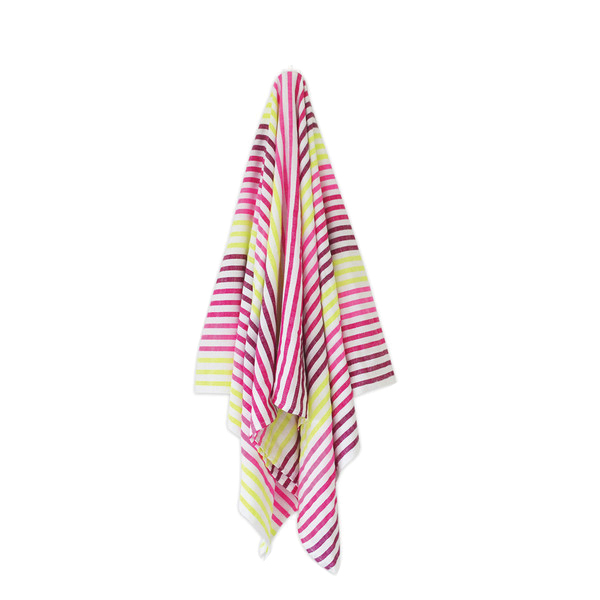 Q. What’s your must-have beach accessory? A .My beach blanket from Las Bayadas. They make these beautiful blankets out of recycled cotton in Sayulita, Mexico, and donate 10 percent of their profits to a school there. Q. How do you protect your skin from the summer sun? 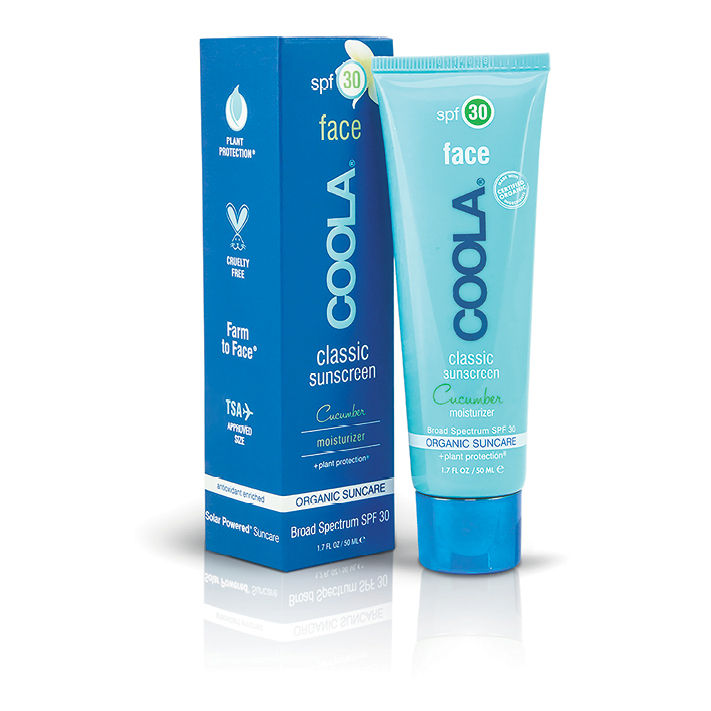 A. I love Coola’s Cucumber Face Sunscreen. It goes on really light and is one of the few organic sunscreens I’ve found that actually works. Q. 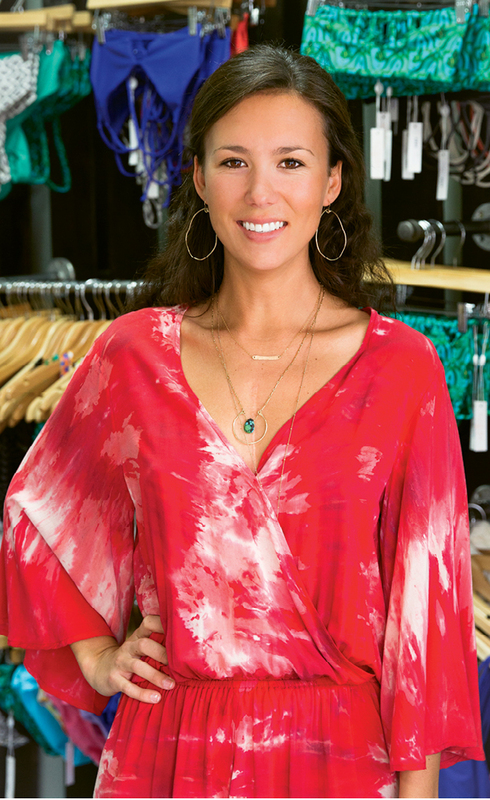 What inspired Citrine Swim? A. The idea for a swimsuit line that fused Southeastern roots with new Hawaiian influences came about just before Russell and I moved back from Hawaii. In the Southeast, people tend to be modest with swim, often to the point of wearing unflattering suits to get more coverage. Our goal was to break that mold while designing suits ready for action—from surfing to yoga. Q. Tell us what’s new about Citrine Swim 2016. A. We incorporated some knotted detail into this collection—including on our high-neck “Bahia Top,” which has become our new best seller. We have a one-piece in a similar design that has been killing it! Q. Do you have a go-to bag? A. 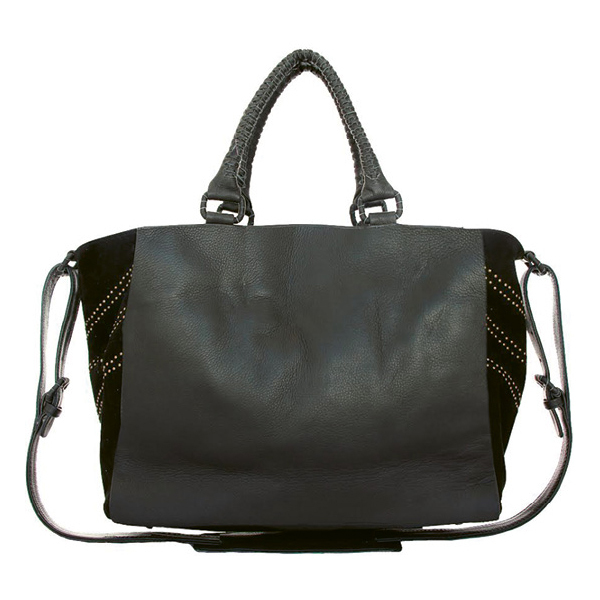 Right now it’s my “Indi Mama” diaper bag from Cleobella, which just looks like a gorgeous leather tote.